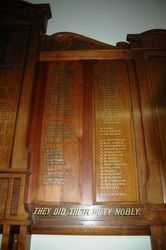 A wooden honor roll commemorates ex-pupils of the school who served in World War One. BAIRNSDALE. 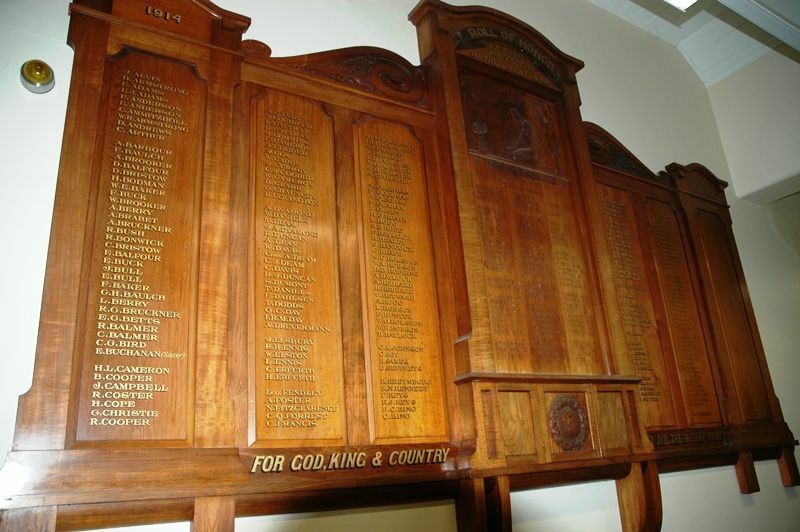 — Lord Forster, the Governor-General, and Lady Forster, visited Bairnsdale on Tuesday afternoon to unveil two war memorials. The first ceremony was at the cenotaph in Main-street, erected to the memory of the fallen men of the shire. There was a large attendance of township people and country residents. 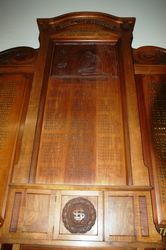 The cenotaph cost over £700, and is a simple and chaste memorial. 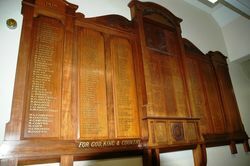 At the State school a handsome honor roll of blackwood, containing 390 names and a list of the fallen 80, was afterwards unveiled by His Excellency. 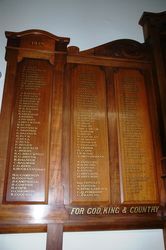 This memorial cost £120, and the cost was borne the scholars and their parents. Age (Melbourne), 11 October 1922.